A platform lift, or vertical platform lift is a fully powered device designed to raise a wheelchair and its occupant in order to overcome a step or similar vertical barrier. Platform lifts allow access into a vehicle and the ability to go up and down a flight of stairs. There are several types of platform lifts, but the lifts are usually built within the chair or one can wheel themselves onto the lift, which can be battery operated or electric. The platform lift will raise the individual either up the stairs or into a vehicle. Platform lifts give individuals independence in their homes. They can live in a two floor home with a basement instead of a ranch style home. Platform lifts within the work place give disabled people the opportunity to work in a setting with ease and accessibility. 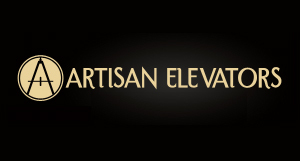 There are many different types of platform lifts, starting with vertical platform lifts that have flat surfaces, act like a drawbridge and work on pavement and curbs. The inclined platform lift is similar to an escalator. The user drives their wheelchair onto a platform that is raised to another level of the home. A rotary lift/swing lift is another type of platform lift that has a platform that swings out on a post and lowers to the ground. 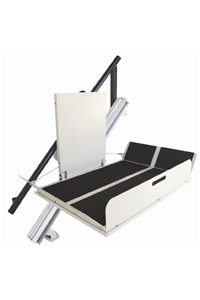 Indy Stair Lifts, a leading provider of lifts that range in size, ability and style, offers The Indy Platform Stair lift that can be used with a wheelchair or motorized scooter. It features a roomy 25″ x 36″ platform that automatically folds at entry and exit and can travel up to 40′ at 14′ per minute. It is also available in an outdoor package. The platform stair lift has a weight capacity of 500′, a manual lowering device and comes with a variety of safety features, including ramp obstruction sensors, upper and lower landing limits and a non-skid surface. Call Indy Stair Lifts today at 888-203-5754 or visit one of our nationwide offices for more information about the Indy platform stair lift that is safe, stable and easy to use.